When you are looking to build, partnering together with a design/build firm that understands ministry and has a streamlined and sequential approach to planning is critical to the success of your project. There are many dynamics when planning for a new ministry project, not the least of these including the multiple opinions of committee members or your leadership team. So, the unity of process becomes that much more important to the overall success of your planning. Your design/build (d/b) team is helping you work through your vision. Your d/b team should not be telling you how to run your ministry, but should be guiding you through the development of a tool that will accommodate the needs of your ministry. In this first phase of planning they should be listening to the individuals responsible for each area of ministry and the needs they have. Their ability to listen will be evident by the questions you are asked. The experience and knowledge of your design/build team can then help guide you through the alignment of your overall ministry needs creating a balanced solution for planning. Now that you have alignment with your various areas of ministry your d/b team can move into pre-construction planning which might include master plan development and detailed preliminary design development. This work will be specific to your project, but could include site planning, detailed floor plan layouts, 2D elevations and 3D color renderings. Once the overall design planning has occurred and leadership is in agreement, a comprehensive accounting of the costs will commence in order to determine that the plan as approved is in alignment with the stewardship of the ministry. This can inevitably take some time back and forth as you fit the right building tool within your approved budget. The key here is that you are counting your costs before moving into final construction documents and subsequent construction on a project that may not be affordable. Once the project budget and design are in alignment you are able to move into a final design/build agreement with a lump sum guaranteed maximum price (GMP). Once your leadership is unified with the design and construction agreement your d/b team will immediately begin the process of preparing final construction documentation. This will generally include all site, architectural and structural, Mechanical/Electrical and Plumbing as well as audio/visual and lighting engineering. In addition, this work will include coordination and planning with the appropriate local, county and state authorities in preparation for and procurement of the required project permits. Your design/build team should pursue, if at all possible a partial permit release. This will often allow for them to begin site work in advance of the final release of building permit which, if allowed will help expedite the construction process. As construction begins your design/build team will professionally manage and coordinate all suppliers and on-site personnel including the coordination and preparation of all construction related documentation and activities for your project. As construction nears completion your design/build team will perform a thorough review of all construction details to ensure that all requirements have been met, remaining items have been resolved and the ministry has a clear understanding of the projects components. PBS is a design/build firm specializing in the planning, design and construction of worship facilities throughout Illinois, NW Indiana and Eastern Wisconsin. Through our 5-step delivery process (www.pbsdesignbuild.com/our-process) we work closely together those we are partnering with as our working relationship will often span a number of years. 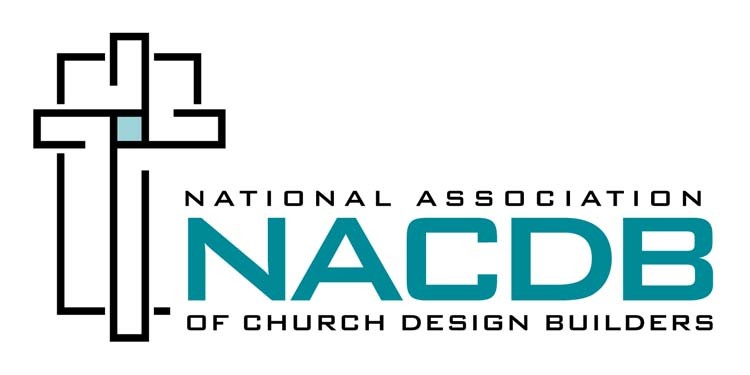 The PBS team is comprised of Certified Church Consultants and is in leadership as a member of the National Association of Church Design Builders (NACDB). As a part of this National Association we bring to our customers opportunities to partner through PBS with a comprehensive team of professionals who provide churches with the systems and resources they need for a fully integrated project. Chad Charon is the Vice President of PBS Companies, a design/build firm in its 26th year of operation. PBS specializes in the planning, design and construction of worship facilities throughout Illinois and Eastern Wisconsin. As a design/build firm, research has proven that the more planning and coordination that occurs under one umbrella, the more opportunity there will be for project success by way of cost effective planning and overall construction efficiencies. While the Great Recession of 2008-2009 may seem like something of the past, the reality is we’re still living with its consequences. In fact, it greatly impacts today’s economic environment. In 2008-2009, many businesses failed. This resulted in foreclosures and high unemployment rates. At the same time, real estate values collapsed—and banks, in particular, sustained tremendous losses. This economic slowdown was fueled by increased regulatory scrutiny, fewer available loan sources and more conservative lending practices. While the economy is in better shape today, Jon Huskins, President of Crossbridge Funding Group, says the effects of the Great Recession are still felt today. For the first few years after the recession, loans were hard to obtain and the underwriting process was an even more rigorous process than normal. Now, several years later, banks are more confident in the market. It’s a great time for churches and other nonprofit organizations to refinance or move forward with building projects. He says that with banks competing for business once again, bank liquidity is high and churches can get loans at attractive interest rates. He cautions churches to conduct a thorough review of banks. The cheapest deal is not always the best deal. In fact, a quality relationship with the bank is as important as the loan itself. A good way to gauge the bank, Huskins says, is by evaluating if the bank is more concerned about their policies or your vision. • Construction schedule It takes time to pull together a comprehensive loan package. Churches should use available expertise—both internal and external—to prepare. Just as churches are evaluating lending partners, they, too, are being evaluated and, specifically, their loan packages. Lending partners evaluate the viability of a loan request based on the strength of church leadership, governance processes and the quality of financial statements. “Documents are judged on whether they are internally or CPA-prepared, as well as whether they are compiled, reviewed or audited,” says Huskins. In addition, lenders analyze church loan packages by other financial considerations, including the number of giving units, attendance trends, prior capital campaign experience, and the dollar amount that the top 15 givers contribute to total operating budget. • Financial statement quality and reporting requirements Huskins says to look for key loan covenants that may restrict certain areas of operations. In order to avoid the potential hazards incumbent in the lender selection process it is imperative to focus on the following critical steps. 1. Research banks that serve the nonprofit market. 2. Don’t approach banks too soon—take the necessary time to prepare. 3. Model the impact of debt on operations and ministry. 4. Know the desired loan amount and structure. 5. Understand the difference between commitment and terms letters. 7. Avoid excessive fees and understand closing costs. The selection of the right banking partner will have implications far beyond the completion of a building project or loan refinance. The bank selected will not just be the church’s lender but a partner that potentially defines the ministry the church ultimately pursues. Jon J. Huskins is the President of Crossbridge Funding Group, LLC. He can be reached at 317-514-0262 or jhuskins@CrossbridgeFunding.com. This Article has been supplied to you by T&W Church Solutions as part of our effort to provide growing Churches in our region with relevant information to enhance their ministries and to reach out more effectively to those who do not know the Lord. Kurt Williams, NACDB CCC, LEED AP, is a Design/Build veteran at T&W Church Solutions with over 25 years in the industry, 20 of those years guiding over 100 churches through the various stages of Planning, Designing and Building their new facilities. T&W Church Solutions is a Design/Build firm who partners with ministry-focused architects to serve the churches of Central Indiana as well as the only NACDB (National Association of Church Design Builders) Certified Firm in Central Indiana.